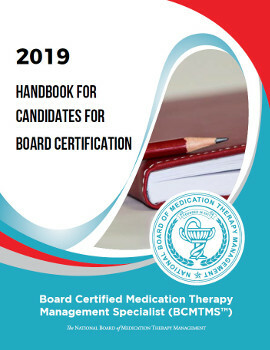 The following policy outlines the terms under which the NBMTM will grant board eligibility in medication therapy management for education and training completed outside the U.S. or Canada. 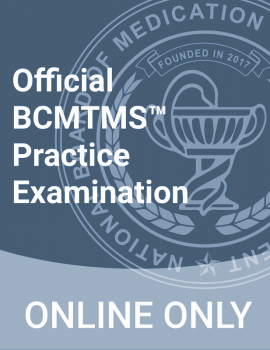 Demonstrate that your education is at least equivalent to the requirements of a Doctor of Pharmacy by submitting your U.S. pharmacy license or a report from Educational Credential Evaluators (ECE). Demonstrate that you are currently licensed in your country of origin or training by submitting your professional license. Submit certified translations for all foreign language documents. The translator must certify that s/he is competent to translate and that the translation is accurate. Notification of fees due will be included with exam invitation. Payment may be made by Visa, MasterCard, Discover, or American Express only (U.S. currency). Payment by cashier’s check or money order will not be accepted. If your payment is declined for any reason, you will be charged a $100 processing fee. All fees are nonrefundable.